You’d think that after all those calendars I made earlier this year, I’d have no problem knowing the date. Welp – even with all those calendars around me, I still have the hardest time remembering it. I’ve been known to go a full two or three days writing down the same date before I muster up the energy to actually check and see if I’m right. It’s pretty ridiculous, actually. So, to remedy my problem I decided I needed to invest in another planner. I’m not one of those people who schedules events in her phone – I much prefer paper and pencil. 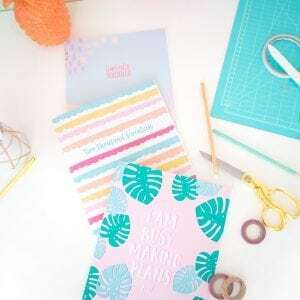 I searched online for the perfect planner, when I finally came to the conclusion that I could just make my own with the supplies I already have. I’m not gonna lie, this project was quite an undertaking and I dedicated the better portion of 4 days to completing it. From time to time, though – it’s nice to throw yourself in to an involved project that takes longer than an simple card. In the end, you’re rewarded with the “Look-what-I-made” feeling, that is far better than the “Look-what-I-bought” feeling. Also, by making the planner myself, I was able to include what I needed and forgo what I don’t. For example – I really don’t need a “Contacts” section in my planner – that’s what my cell phone is for. 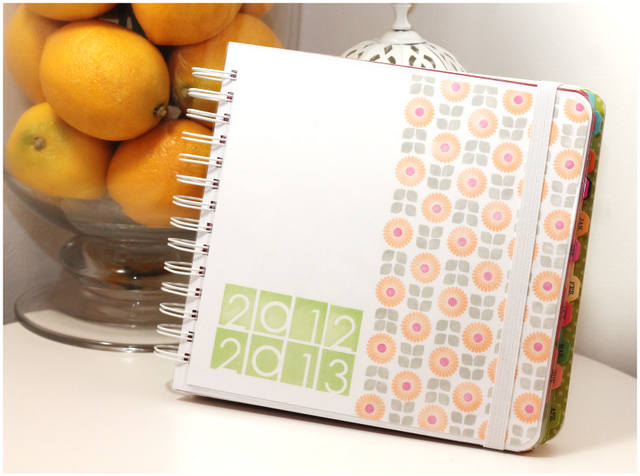 I do, however, like to have lots and lots of note paper, which is often lacking in most store bought calendars. So here we go on a little tour of my creation! 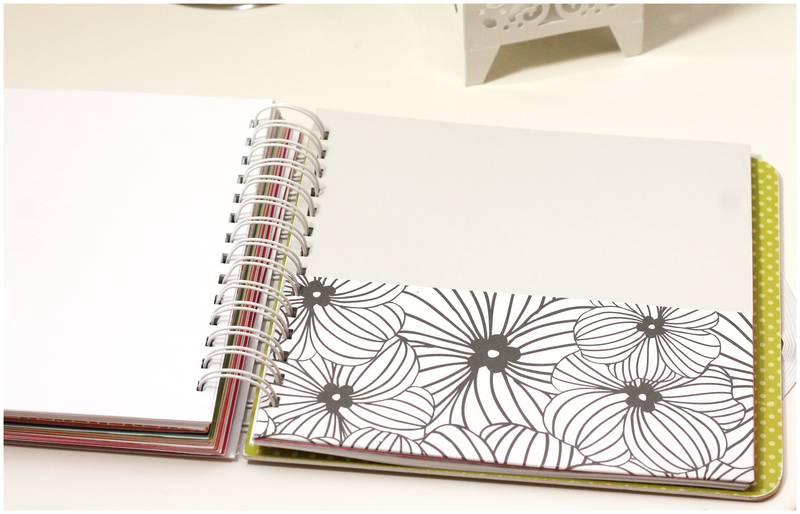 For the cover of my planner, I stamped a simple pattern using Papertrey Ink’s Modern Basics along with the small flower image from Rosie Posie. I love the simple geometric look of it! Then I stamped the years using Alpha Blocks. To ensure that this planner survives the heinous abyss also known as my work tote, I laminated the cover – proving that my laminator purchase from last year was, in fact, a very good idea! On the inside of the cover, I stamped a sentiment from Papertrey’s Day Dreamer – “Take today to do something your heart has always dreamed of doing.” Seemed appropriate for this project – since my heart is currently dreaming of having a planner that will keep me organized! 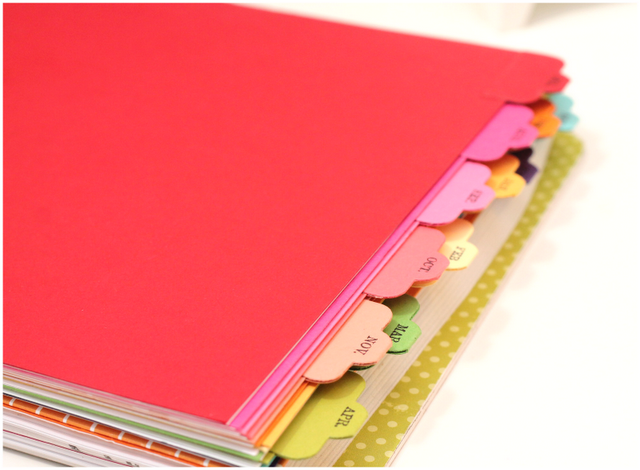 In the very front of my planner, I created a pocket out of a laminate folder (which I simply put through the laminator without anything between it). I figured this was a great way to store stamps, labels and such. On the top part of the pocket, I just left an empty space for sticking post-it notes …because I am the queen of scribbling down random thoughts on post-its, and now I have somewhere to keep them! 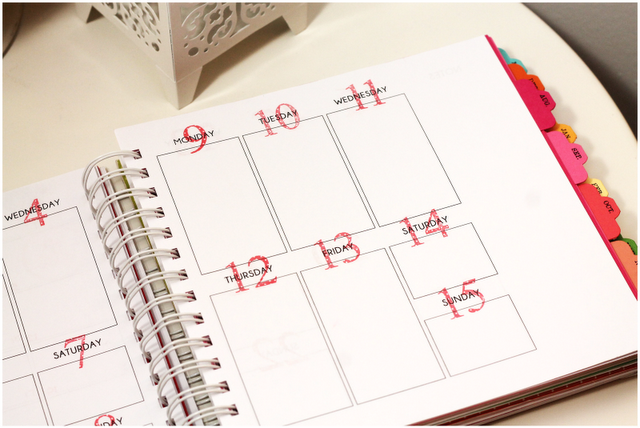 Now, what’s a planner without a calendar? Completely useless! 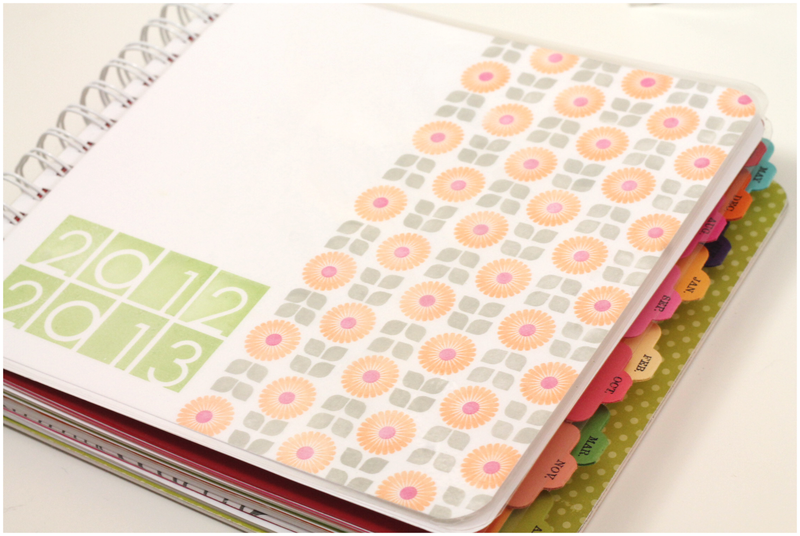 I created a rainbow of monthly tabs using Papertrey’s Journal Tab dies and stamped each one using the Postmarks set. 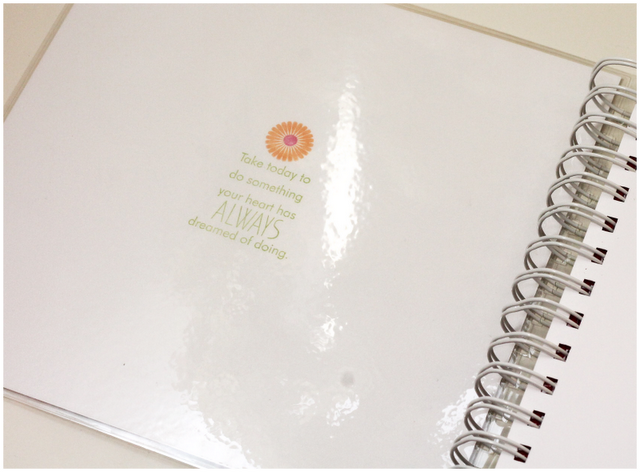 Within each month, I inserted print outs that I designed in Word – one for the month and several pages for the weeks – with plenty of space for notes, scheduling and reminders! Just what I need to stay on top of design team assignments, publication deadlines and blog posts! 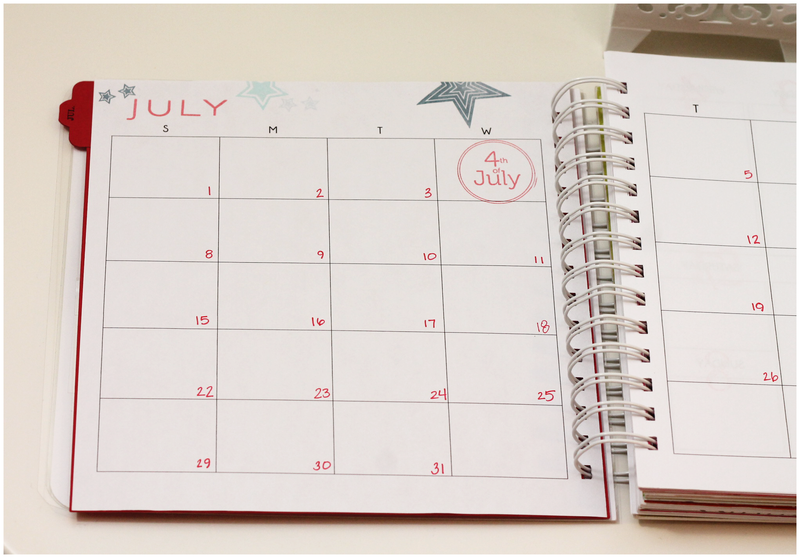 Stamping each page of the calendar was, by far, the most time consuming part of this project. But when you get into a groove – and Golden Girls is on the background – time just flies! I thought it’d also be a good idea of create some pockets for my planner. Somewhere to store a few cards for last minute occasions and maybe some of those all important coupons for Michael’s that I always seem to need! And since I am always in need of a note pad, I added lots and lots of note paper to this planner. To finish off my planner, I covered a piece of super duper heavy duty artboard with cardstock, patterned paper and a simple stamp – just to prove that it’s handmade! For the closure, I used the same elastic & grommet technique that I shared here to make sure my planner stays neat and orderly. And here she is in all her glory, ready to accompany me everywhere I go and, of course… help me remember the date! 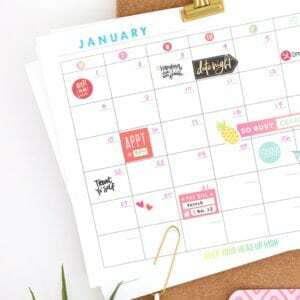 Hopfully this project will inspire you to take on a lofty project of your own – maybe even a calendar like this! **Please feel free to email me with any questions you may have about this project. wow Amber! This is wonderful! I love how you stamped everything! I hope it helps you! 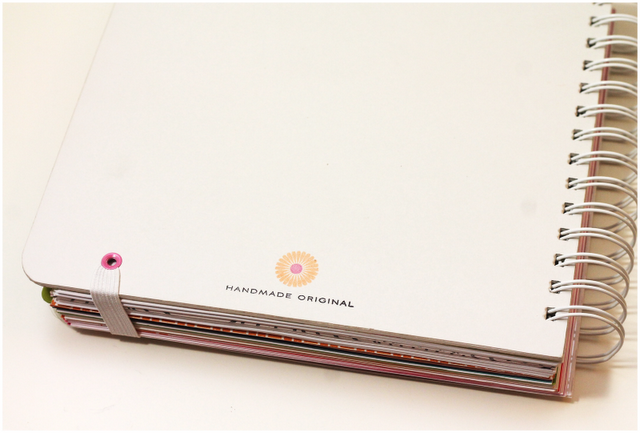 Your planner is beautiful and well thought out. Such wonderful details. I know you will get lots of compliments and stay well organized. Amber this is amazing, so much work but it sure is worth it. First off. I am so glad you are back to posting. Best wishes too for wedded bliss! 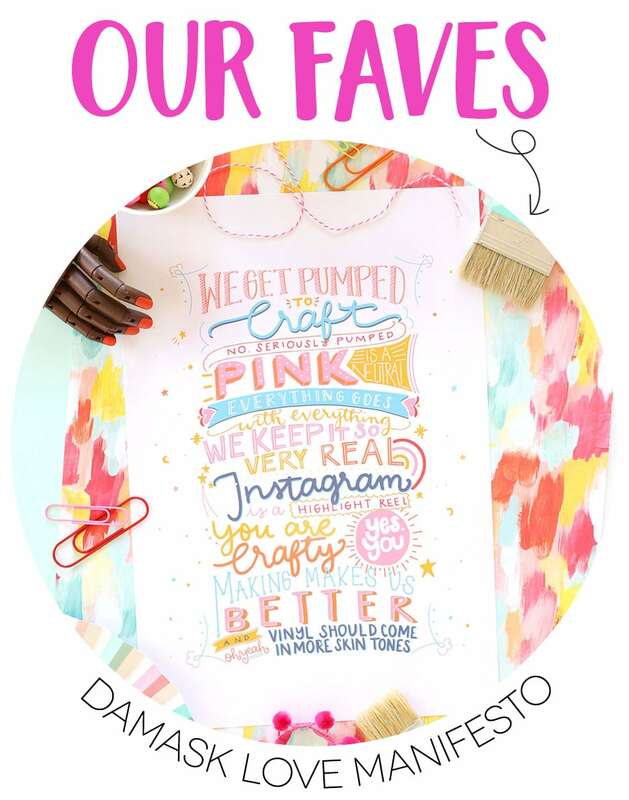 This planner is cool. Would you share your calender templates in case some of us decide to attempt this? What an ambitious project – it looks great. I hope it works for you just like you want it to. It’s so nice to have something customized to just how you want to use it. this is completely awesome. Question- how did you get the angled folder? What size paper did you use to create that? And, I loooove the golden girls!!! I can see why it took 4 days and it looks AMAZING!!! Need me one of these for sure!!! A.MAZ.ING.!! Your projects are just incredible! Excuse me while I pick up my jaw off the floor…. Amazing, Amber! 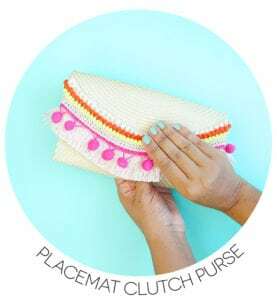 You have such an innovative mind–and all those fab details! How did you bind it? What a perfect planner; you did an awesome job on this, Amber!! I am so impressed! This is beautiful (and useful)! 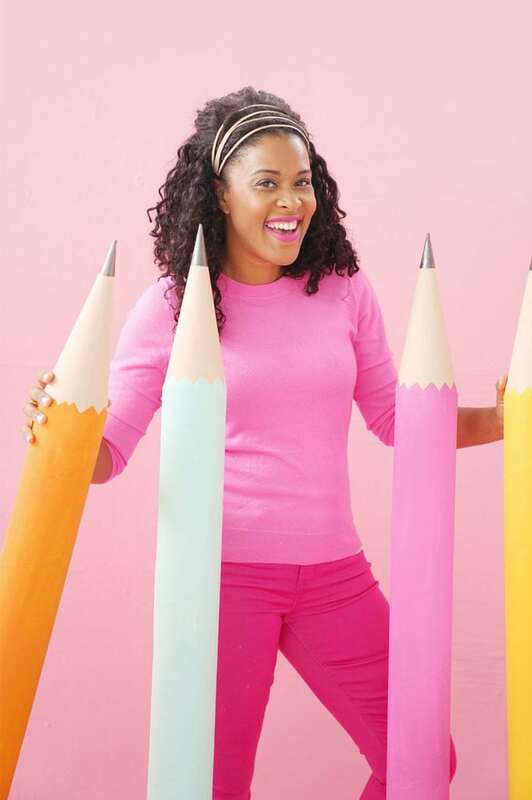 I too am a paper and pencil type planner and have yet to find the one system that keeps me on track. When I read your post I was so inspired and awed. 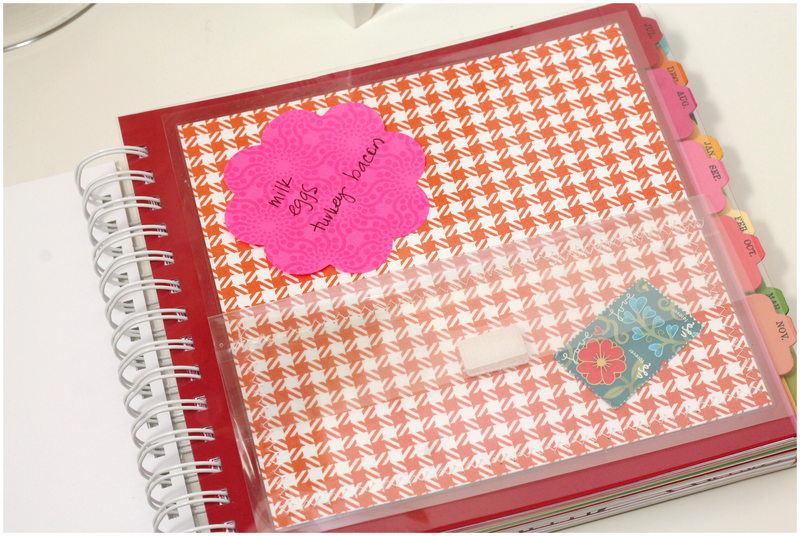 This looks like the perfect thing to keep me organized and it’s so much prettier than what I use now. 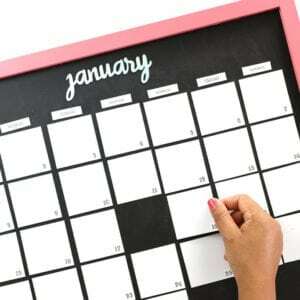 If possible I would love it if you would share your calendar templates. I’m can’t wait to get started on mine. WOW. What an ambitious undertaking. Awesome. Hey Shyra! I totally know what you mean about the Filofax system! I want one too…but they can get pricey! 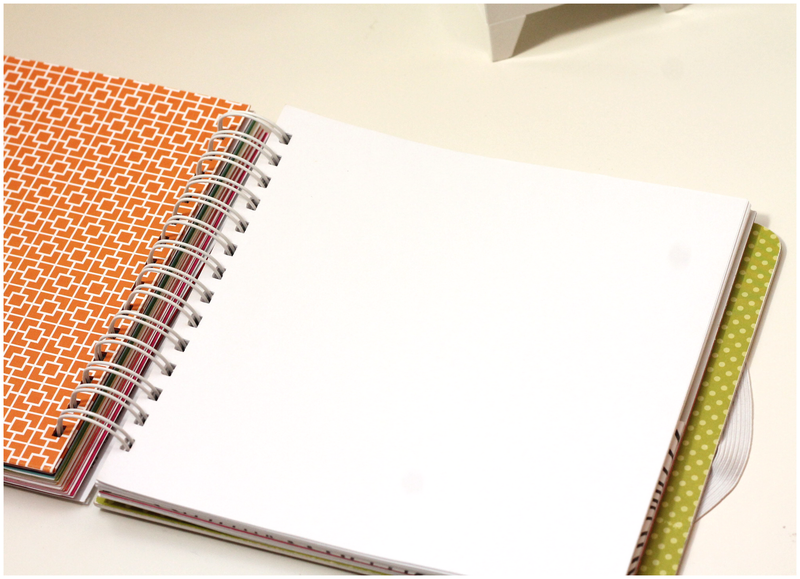 For me this planner served me really well (until I bought an Ipad and moved to doing everything digitally). The nice thing about the handmade planner is that I could design the pages to fit my needs and only include columns and sections that I need. If I had to do it all over again, though – I would make it bigger (8.5×11) since I like to write a lot of notes. Let me know how it goes! I’m happy to help out in anyway I can! Beautiful planner, it looks like something you would buy on Etsy and cherish forever. I have recently broken out my laminator and am itching to use it for something planner-related. Your planner pocket caught my eye. Question: How did you attach it to the page? Thanks! Can I pay u to make the a planner? 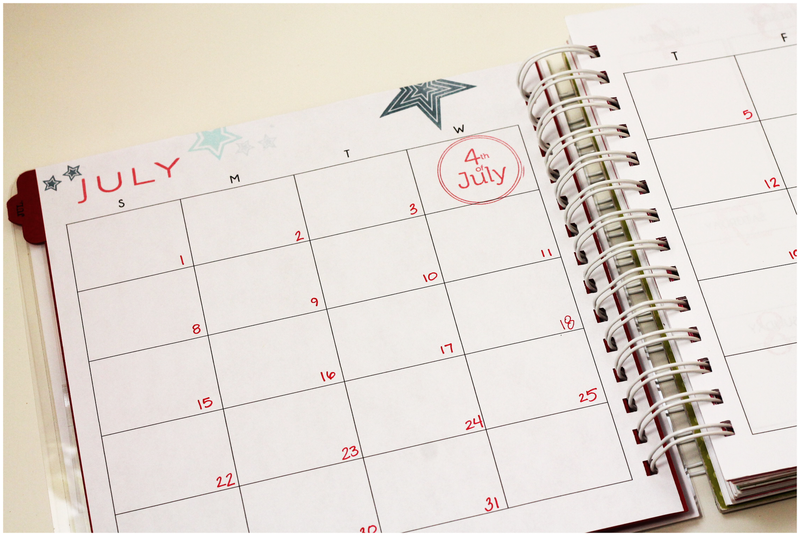 I am so lost without a planner. I hate using my phone calendar. It’s so easy to ignore. Wow, this is like my first time reading one of your posts and I enjoyed reading it. 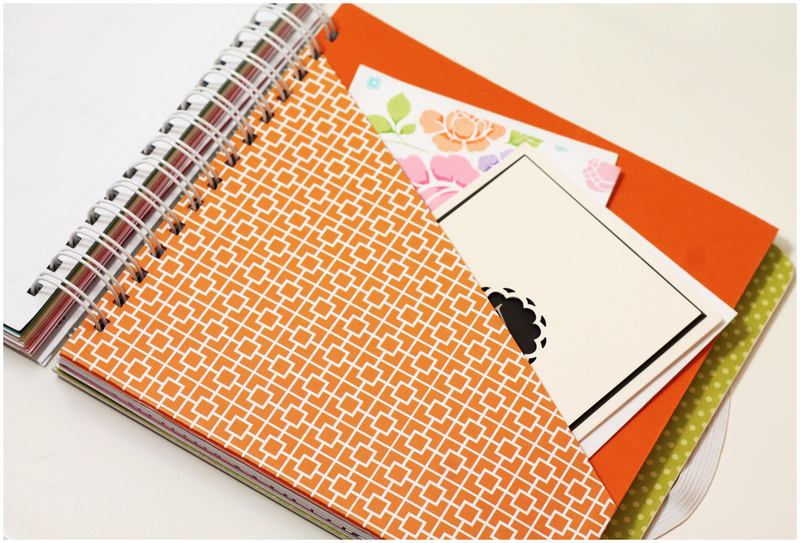 Your planner is so beautiful! I like how you didn’t really buy anything. You just used the materials that you have in hand. I hope you enjoyed using it!